Baan Kao Hua Jook is a small boutique accommodations located in downtown of Koh Samui. Situated on a hill slope at the northern part of Chaweng Area. It offers a very nice environment with few different room types and pool villas. An emerald green and stylish design concept. Baan Kao Hua Jook provides a comfortable stay with a spectacular view of Chaweng Lake, tropical gardens, swimming pool, gym and restaurant. All you need for your holiday is just here. 8 units of our Standard Room available on the 1st and 2nd floor of the building. The room has a king bed size and counter bar for your own beverages. And a living corner in your room plus balcony and bathroom with a bathtub and shower. A Corner Lake View Room is one of our popular room selection. There are only 5 unites in our property. And it fit to a couple who like to enjoy your time a few days to many days. The room comprised with a king bed size , a set of living area and counter bar for your own beverages. If you have 3 peoples together this room type might fit to your accommodation. Our Suite Lake View is set on the 3rd. floor with the best view for Chaweng Lake. This room type available at 4 units and very room comprises with one king bed size and one sofa bed for your flexibility either your kid or a friend for sleeping. Our 6 unit of Superior Pool Villa, this stylish tropical design of 2 bedrooms, 1 bathroom, 1 dinning room with pantry, private pool and garden. This villa is small private for 4 peoples. For 6 persons, 3 bedrooms, 2 bathrooms, 1 living, 1 dining, pantry and private pool plus garden. This only one villa is fit to a family of 6 members. Or a group of friends who enjoy spending time together in the same roof. For 8 persons, Baan Sansabai Jai Pool Villa is fit to a family or a group of friends who would like to stay in the same place and have a good time with a private swimming pool. 4 Bedrooms , 4 bathrooms 1 kitchen, 1 living room , 1 dining room and private pool. This only one villa that might be occupied all whole year. From the reasonable price and valued. You will feel this villa as your second home. Cooking in the kitchen and have all day eatery in your own place or just order from the restaurant to your room for lunch of even dinner is such a convenience. 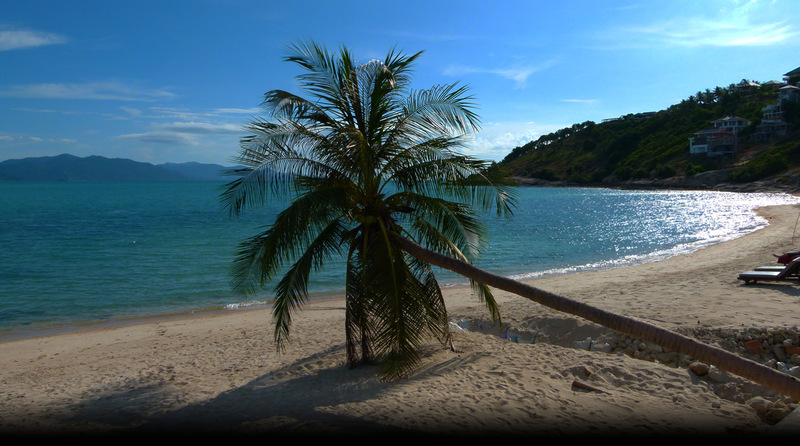 The island of Koh Samui is recognized as one of the top tourist destinations in South East Asia. It is the third largest island in Thailand (Measuring roughly 250 square km), and a gateway to other popular destinations; such as Koh Phangan, Koh Tao, Koh Nang Yuan and Angthong National Marine Park. The island is located roughly 700 km South of the Thai capital Bangkok.